Your complete design and supply service for staircase and architectural castings. Forged from four decades of experience in staircase design, estimating, fabrication and installation, UK Creative Castings now offer unbiased expert advice in all of these key areas. Using our knowledge and connections we help you to make your designs a reality. We save you time and money too! Why spend your time searching for staircase related castings when we can do it for you? Creative Castings have a vast selection of traditional cast treads and decking plates, all designed on a modular system. We have an enviable range of architectural castings for structural columns and post caps. 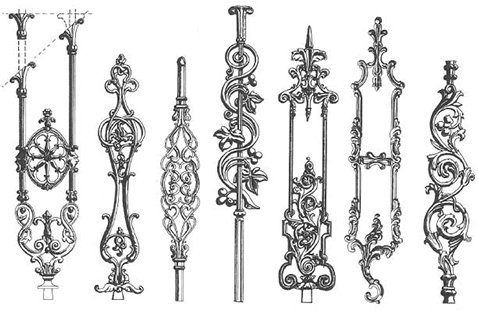 Plus, our range of cast balusters is virtually limitless. We’re the complete package. Take a look around our website. Then call us. We’ll cast a look around the world for your castings.